Almost 15,000 people dodged malaria while Ebola devastated West Africa in 2014, thanks to preventative drugs on an enormous scale doled out by Médecins Sans Frontières. The life-saving treatments targeted a 10th of Liberia’s population and saw the number of malaria cases plummet – even though most people didn’t take their medication. The analysis, published in PLOS One by an international team, shows large-scale drug treatments are promising ways to fight malaria. Malaria is curable and preventable – if suitable healthcare can be accessed. Almost half the world’s population is at risk of the disease, but according to the World Health Organisation, 90% of malaria deaths last year were in Sub-Saharan Africa. To complicate matters, malaria is often impossible to distinguish from Ebola without taking a blood sample to a laboratory. They share symptoms, such as high fever. So when the Ebola outbreak hit West Africa in 2014, malaria cases were misdiagnosed. Some people with malaria were put in the same hospitals as those with Ebola, dangerously exposing them to the virus and overcrowding hospitals. This is when Médecins Sans Frontières stepped in. From October to December 2014, they distributed vouchers entitling two rounds of the malaria medication to hundreds of thousands of people in Liberia’s capital city Monrovia. All in all, 1,259,699 courses were given out. The medication called ASAQ (artesunate/amodiaquine) is a standard treatment for uncomplicated malaria. It’s been widely used since 2003. “With malaria, we were certainly concerned about any intervention that may lead to drug resistance,” says study co-author Amanda Tiffany, an epidemiologist from Epicentre in Geneva, Switzerland. And it worked: self-reported fever dropped from 4.2% to 1.5% in only a month. In other words, the mass drug administration meant 14,821 fewer fever episodes in Monrovia. To top it off, mathematical modelling in early 2015 suggested that in future, if three rounds of the malaria prevention drugs were given to 70% of Liberia’s population, as many as 700,000 malaria cases could be avoided. The scientists write in this instance, though, the drugs weren’t always taken correctly. The majority of participants, if they felt healthy, held on to the drugs in case of any future malaria episodes rather than taking them as a preventative measure. And they note that for better results, mass drug administrations should be coupled with adequate healthcare and long-term interventions. So why haven’t malaria preventative treatments been distributed on this scale before? Tiffany says complicated logistics were the main problem. A massive portion of the community had to stop what they were doing to take part in education sessions which were part of the campaign. “For malaria, in particular, such campaigns are still novel and challenging as they involve the distribution of medication to predominately healthy people that is to be taken, unsupervised, over three days,” Tiffany says. And, she adds, mass drug distribution isn’t always the right intervention for every context. Malaria is transmitted via mosquitoes. Malaria researchers at The Australian National University (ANU) have found one of the malaria parasite’s best weapons against drug treatments turns out to be an Achilles’ heel, which could be exploited to cure the deadly disease. The findings could prolong the use of several anti-malarial drugs, including the former wonder drug chloroquine, to treat the mosquito-borne disease which kills 600,000 people around the world each year. Lead researchers Dr Rowena Martin and PhD student Sashika Richards, from the ANU Research School of Biology, said changes in the protein that enable the parasite to evade several anti-malarial drugs – including chloroquine – make the parasite super-sensitive to other therapies. “Malaria is one of the biggest killers in the world, particularly for young children and pregnant women in Africa and the Pacific, and our research could help save countless lives in some of the world’s poorest countries,” Dr Martin said. Dr Martin said the interactions of the modified protein with certain drugs were so intense that it was unable to effectively perform its normal role, which was essential to the parasite’s survival. “We also found that the changes that allow the protein to move chloroquine away from its anti-malarial target simultaneously enable the protein to deliver other drugs to their anti-malarial targets,” she said. “The other important phenomenon we found is when the protein adapts itself to fend off one of these drugs, it is no longer able to deal with chloroquine and hence the parasite is re-sensitised to chloroquine. Dr Martin said the super-sensitivity phenomenon also occurred in other drug-resistant pathogens, such as bacteria, and in cancer cells. Ms Richards said the findings would improve the cure rates for people with malaria, and could help stop the emergence and spread of drug-resistant malaria. “Health authorities could use our research to find ways to prolong the lifespan of anti-malarial drugs,” Ms Richards said. She said prolonging the use of existing drugs was crucial, as it would give scientists time to find the next anti-malarial drug. “The current frontline anti-malarial drug, artemisinin, is already failing in Asia and we don’t have anything to replace it,” she said. 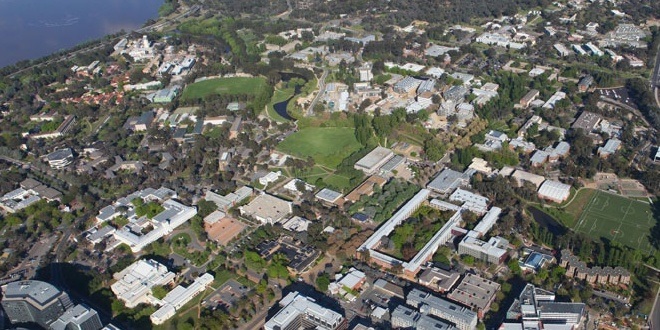 The study was supported by National Health and Medical Research Council (NHMRC) funding. It was published in the latest PLOS Pathogens journal. Gains made in the fight against malaria in East Africa could be set back, by an invasive plant species. American invader famine weed, or Santa Maria feverfew, (Parthenium hysterophorus) is spreading rapidly across East Africa. The weed secretes a highly poisonous substance known as parthenin, which can cause dermatitis, hay fever and asthma in people. The substance is also harmful to livestock, and can contaminate milk and the meat of animals that eat it. 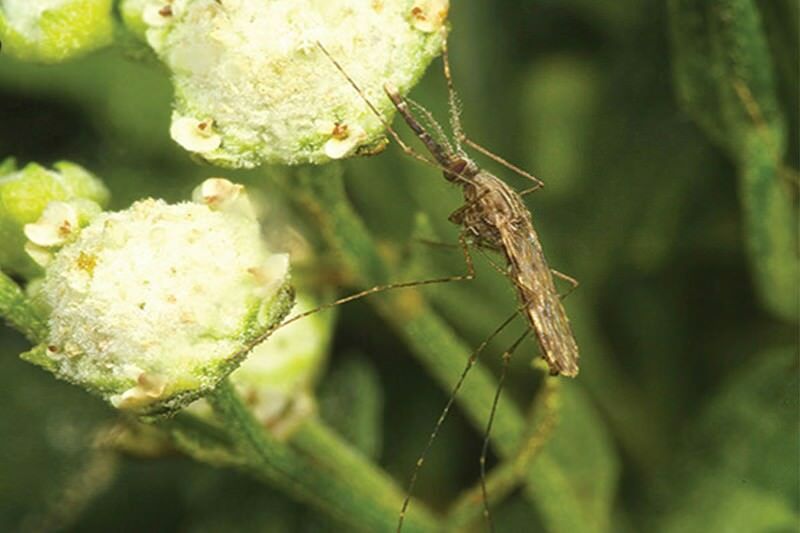 In recent years it has also become clear that famine weed’s flowers are attractive to the female Anopheles gambiae mosquito, which spreads malaria. But now it seems that the plant’s nectar could keep the insects alive when blood isn’t available. Baldwyn Torto at the International Centre of Insect Physiology and Ecology in Nairobi, Kenya, and his colleagues took day-old mosquitoes and raised them in cages where they had access to one of three plants – famine weed, the castor oil plant (Ricinus communis) or Bidens pilosa, which is eaten as a vegetable in Kenya. Other mosquitoes had access to sugar water, or to distilled water. The mosquitoes raised on sugar water fared best – more than 60 per cent were still alive after 14 days. Those given just distilled water were all dead within a week. Of the insects that fed on the plants, survival rates after 14 days were about 45 per cent for the castor oil plant, about 30 per cent for famine weed and little more than 10 per cent for B. pilosa. This suggests that if famine weed continues to spread at the expense of B. pilosa, mosquitoes may find it easier to survive for longer periods between blood meals. Significantly, mosquitoes that fed on famine weed built up larger reserves of lipids than insects fed on either of the other plants. Lipids have high caloric value and are critical in a variety of functions in the insects, says Torto. “For instance, lipids have been implicated in the development of embryos in mosquitoes and therefore their ability to reproduce,” he says. Interestingly, the study showed that the effects of parthenin on the mosquitoes were not as drastic as those observed in humans and livestock. The researchers suggest that A. gambiae females are able to withstand parthenin and also possibly purge themselves of the compound. There are still questions to answer, says Charles Mbogo a malaria researcher at the Kenya Medical Research Institute in Nairobi, who was not involved in the study. And this is exactly what Torto and his colleagues are trying to find out. They are now evaluating the impact of parthenin on mosquitoes infected with the malaria parasite.